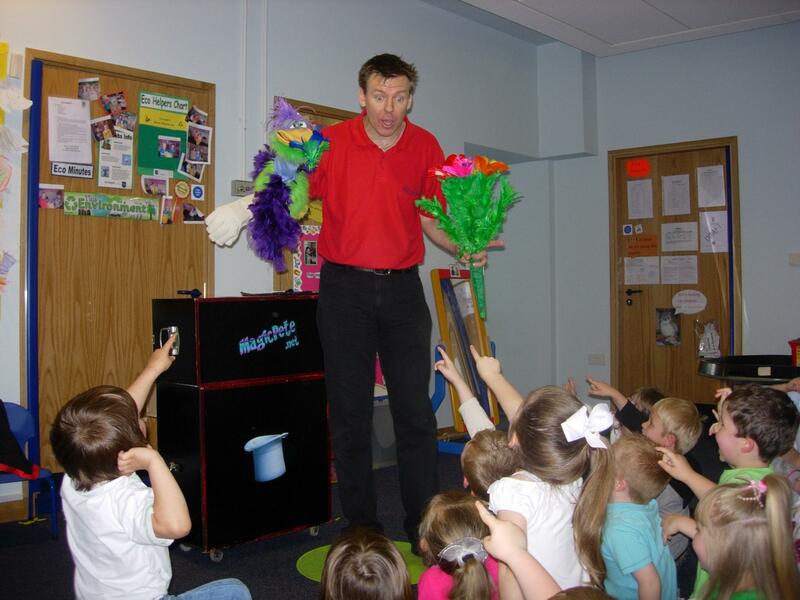 Without doubt, Magic Pete’s most popular party is the 2hr Magic & Puppet show and disco with lots of games, action dancing and prizes. This is designed to be totally stress free for you. Just let Magic Pete take the strain. At a typical 2 hr party, Magic Pete uses his large twin speaker system with microphone to play all your children’s favourite songs. First off, we start with the games for about 45mins. These are played to your favourite tunes. All the kids are guaranteed to have fun with Magic Pete’s games as all Magic Pete’s games are non elimination games. That means all the children are under Magic Pete’s control throughout. After the games we break for some juice and food, which you provide. 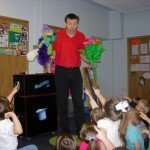 Then as soon as we are ready, we finish off the second part of the party with Magic Pete’s Magic and Puppet show. Then it’s time to leave and you get the credit for hosting a fantastic party that everyone will be talking about for a long time.